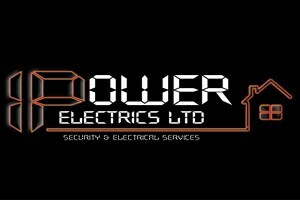 Ipower Electrics Ltd - Alarms/Security based in Coventry, West Midlands. We primarily specialise in installing Hikvision security systems who are the market leaders in CCTV surveillance. We fit IP and HD cameras up to the 4K (8MP) providing you the best in picture quality and all this straight to your mobile phone allowing you to view your home or business from anywhere worldwide. We can provide a service to domestic or commercial customer providing alarms, CCTV, data and audio-visual installation. We can also help in the planning and design, recommending the best equipment for your needs. When you hire our services, you can count on us for the results you Want! and Need!. Your personalised options and our tailored rates cater to fit your budget, so you’re sure to find the solutions you need. Why not get in touch NOW? and discover the advantages of working with iPower Electrics! We can travel anywhere within the West Midlands. A £25 fuel charge may occur if we have to travel outside of Coventry.